I felt so pressured into launching WAJC way before it was ready, just self imposed pressure, nothing more. So rather than spend longer and being more patient, I ended up with a theme that at the time seemed perfect, but quickly realised it was far from it. It worked fine for sure, but it didn’t have the right feel to it, didn’t really inspire me to maintain it, which is not good for a theme only a few days old. But the lesson is don’t always rush into buying a theme just because it initially looks cool. It took longer than necessary to create new posts, and the navigation between audio, video and standard blog posts was in the wrong ratio. Ok, so after all, it was a Multimedia theme after all. Doh. But most of all, it just look dull. And I just knew in my heart, no amount of CSS tweaking was going to make this the site I wanted. 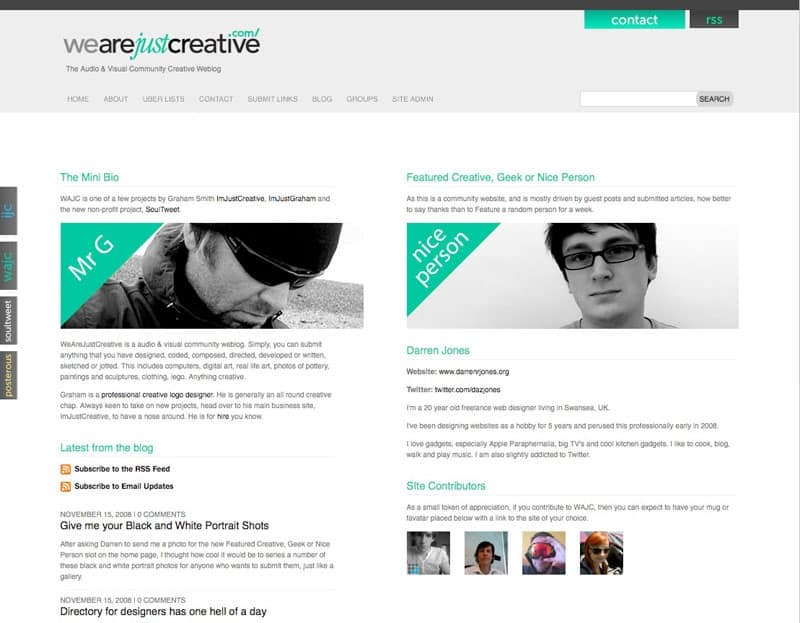 The crunch came after Scott completed the development work for the new ImJustCreative site redesign. After some days of tinkering with this and that, implementing a number of suggestions from all you cool Twitter folk, my mind was made up to switch WAJC to the same theme. This time with some subtle layout changes and of course the significant colour splash change. This I owe thanks to HomerGaines (@xirclebox) for the great colour palette suggestion which you can see in all it’s glory here. I have numerous ideas, some practical, some aesthetic and a lot to do with usability and accessibility. I want it to be a place where you want to come and visit, where you feel compelled to want to contribute articles and posts. It’s has to be a site that looks good, so that you feel your effort in contributing to WAJC will be shown in the best possible way. So I hope I am getting there with this new design and feel. Several new features including the Weekly Nice Person award on the home page, also thumbnail pictures and links back to one URL for any human contributing to the site. I feel this is a nice way to say thanks, and is also a nice incentive. 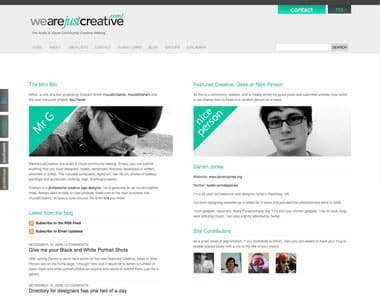 I was going to write up about the site redesign for IJC first, but this is being included in my new serious of posts The ImJustCreative Branding Story – Part 1 – Pre History, so here we are with WAJC instead. I hope you all know by now that I am really open to feedback, and constructive remarks, so please do feel free to suggest anything that you feel might make this site ‘nicer’ for all.